Dear Public Knitter, whose name I don’t know, thank you. Thank you for taking time to explain to a wiggly ten-year-old what you were making. I still remember, to this day--the first time I saw someone knitting. So, thank you for showing me your yarn, letting me touch and feel the texture. Even through I didn’t get to learn how to knit then, you planted that seed. Dear Public Knitter, thank you. I saw you on the bus when I was nineteen, and I can’t even remember what you were making. Something for a child. You laughed when I said I could never do that. You told me it was easy. You told me that anyone can do it, if they just try. And keep trying. And for the first time I had hope. Perhaps I, too, could create something that amazing with a ball of yarn and my own two hands. Perhaps. So I bought yarn. And I tried. and tried. And four (ish?) years later I know now you are right, because the yarn is my friend and never shall we part again. Dear Public Crocheter, sitting in the social security office, when I was rather grouchily waiting for my number to be called, thank you for talking to me. I know you were knitting at first, but the evil anti-sock security guard told you that the needles were too sharp so you switched to crochet. I know you saw me watching. And we talked. I told you that I could knit, and had been for a few years. You told me to learn crochet also. And then you showed me stitches. I wish I had gotten your name. You were so nice. If I knew you now I would tell you I can crochet as well, and just as fine as knitting. And that actually I like it better. I bet you would laugh at that, because of the confused faces I made then as you tried to explain what a chain was. 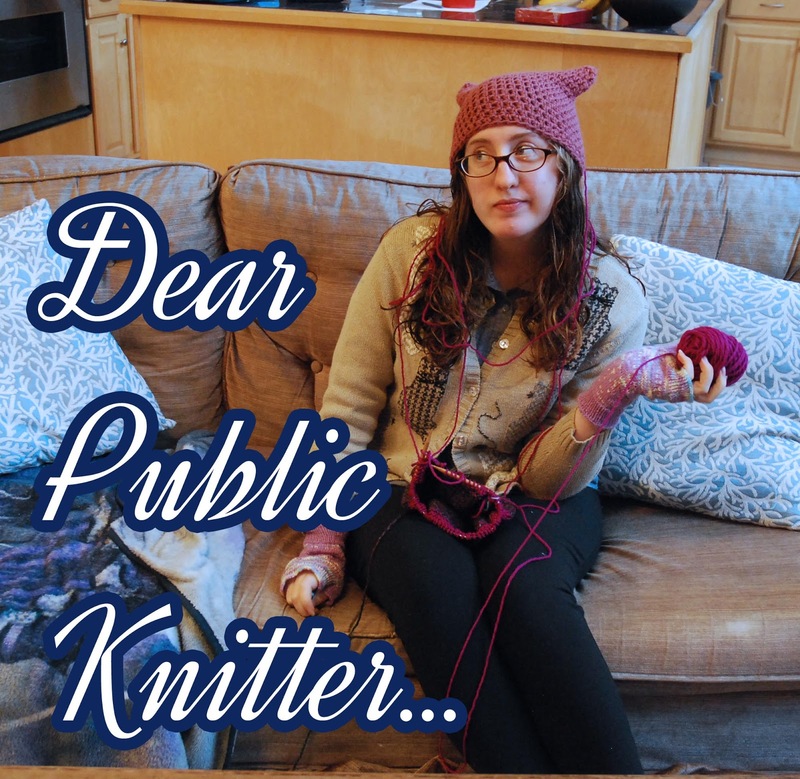 Dear public knitters, and crocheters everywhere…don’t stop. You never know who you might impact next. Knitting has changed my life and I have you to thank for it.